Get Creative with Picture Frames! Looking for new ways to decorate your home? Or maybe you need a gift for the person who has everything? Well, look no further than your local yard sale, flea market, basement, or attic for inspiration! Old picture frames can be used to create new wall art, frame new or old photos and paintings, make unique serving trays, add wainscoting to a wall, and can even be used by themselves. When used creatively, open picture frames can add a whimsical or contemporary touch to your home. So when the glass breaks in your favorite frame, don’t throw it away—add a little paint and give it new life! Note that some prep work may be involved. For example, you may have to remove varnish or existing paint. If that’s the case, be sure to have light-grade sandpaper (120 grit), tack cloth, and a Scrigit Scraper™ on hand to thoroughly clean the corners, edges and grooves. Once you have your frames ready, here’s three ways to put them to new use. Take your mix of picture frames and group them on a wall. It helps if the frames are different sizes and widths, to add interest. For a classic or contemporary look, paint the frames the same color. For more whimsy, mix colors as above. You can use spray paint or latex, but be sure to follow manufacturer’s instructions for ventilation and drying time. If you’re not quite sure how to arrange your frames, you can find tons of ideas online. The key is to hang the frames close together, as it provides a unified look. Here is an example of open frames. You can also use open frames to frame other objects hung on the wall. This requires a little more skill and some tools. Large frames (11” x 14” or larger) work best, although you can complete this project with any size. First, you’ll need to cut a piece of ¼” plywood the same size as the outside dimensions of the back of the frame. Next, affix the wood to the back of the frame with ½” brad nails, spaced approximately 2” apart. Paint the entire piece and allow to dry. Finally, affix a drawer pull on each of the shorter sides of the frame (you may have to drill pilot holes). You can gather more inspiration here. This project requires multiples of the same frames, at least 16” x 20”. 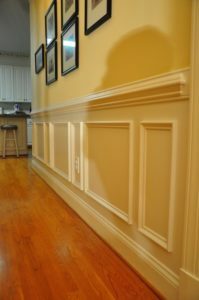 To create a shadowbox wainscot, you will need to measure the space and mark where you want the frames to go. Some people like spacing, as shown in the photo, while others like the design more pronounced by buttressing the frames. Have fun with it! You can paint the frames a different color than your wall, or paint them all the same color for more subtlety. The chair rail is optional. Not feeling so creative or adventurous? 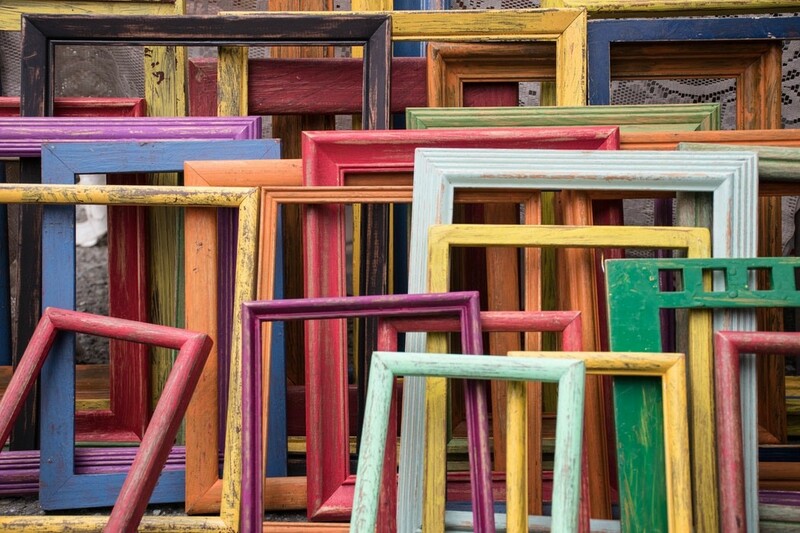 This site may get your artistic juices flowing with tons of ideas for your old frames! 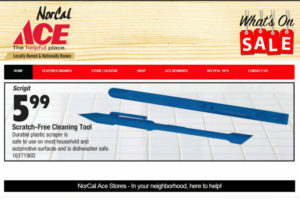 A group of ACE Hardware stores in Northern California are including the pen-shaped non-scratch Scrigit™ Scraper cleaning tool in their print and online advertising this weekend (August 10-13) as part of ACE Hardware’s 5,000 store celebration. The stores are locally owned singularly or in small groups. The stores are supported by an organization called NorCal that provides advertising and other services. Thomas Ace Hardware in Paradise, California now carries Scrigit Scrapers and has been providing hardware and other merchandise along with superior customer service since 1927. 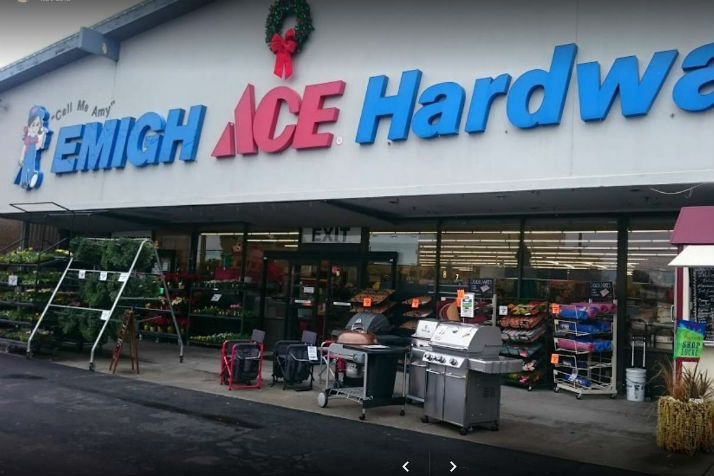 Family owned since 1908, Sacramento’s Emigh “Call me Amy” ACE Hardware has been developing a lot of Scrigit Scraper fans since 2016. Other Northern California stores that carry Scrigit Scrapers include: Arnold ACE Home Center, Capitol Ace Hardware in Sacramento, Carmichael ACE Hardware, Corning ACE Hardware, Garrett ACE Hardware in Winsor and Healdsburg, Granite Bay ACE Hardware, Greenhaven ACE Hardware in Sacramento, Guerneville Fulton ACE in Santa Rosa, Harshbarger ACE in Gridley, McCoy’s Farm & Ranch Supply in Corning, Orland ACE Hardware, Pacific ACE in Vacaville and Winters, Roseville ACE Hardware, Schemper’s ACE in Ripon, Sender’s Market in Mountain Ranch, Sender’s ACE Hardware in Valley Springs, Suison ACE Hardware, and Van’s ACE Hardware in Tracy. The Scrigit Scraper is a versatile pen-shaped cleaning tool that provides a safe, quick, and convenient way to remove small amounts of unwanted substances from household and automotive surfaces, edges and grooves. The tool makes cleaning jobs faster and easier while not damaging the surfaces being cleaned. People often use their fingernails, which can easily be damaged, or knives or screwdrivers, which can scratch the surfaces being cleaned. Made in the U.S.A., the Scrigit Scraper can be used instead of fingernails and metal tools to quickly clean off small spots of substances, such as dried food, candle wax, dirt, latex paint splatters, and adhesive stickers and labels. The small size and shape make it practical to keep the scraper wherever it is needed, such as the kitchen, bathroom, workshop, office, car, purse and pocket, so it can be grabbed quickly when needed. There is no other product like it. If you live in Northern California, please ask for Scrigit Scrapers at your favorite locally owned hardware store and check out all of the ACE 5,000 Store Celebration deals at the stores listed above. Buy Scrigit Scrapers for yourself and to use as gifts. Do you have problems with breaking fingernails or damaging your manicure? Many people use their fingernails as a quick and convenient tool to remove small spots of dried food, candle wax, dirt, and many other substances, because the nails are attached to our hands and always available. However, fingernails can also be easily broken for most people. For women who use nail polish or have artificial nails, these nice manicures can be chipped and generally ruined by scraping. Longer nails, whether natural or artificial, are often more fragile or just shaped in a way that they don’t make good scrapers. There is also that awful feeling of the substance being scraped wedging under your fingernail (yuck). 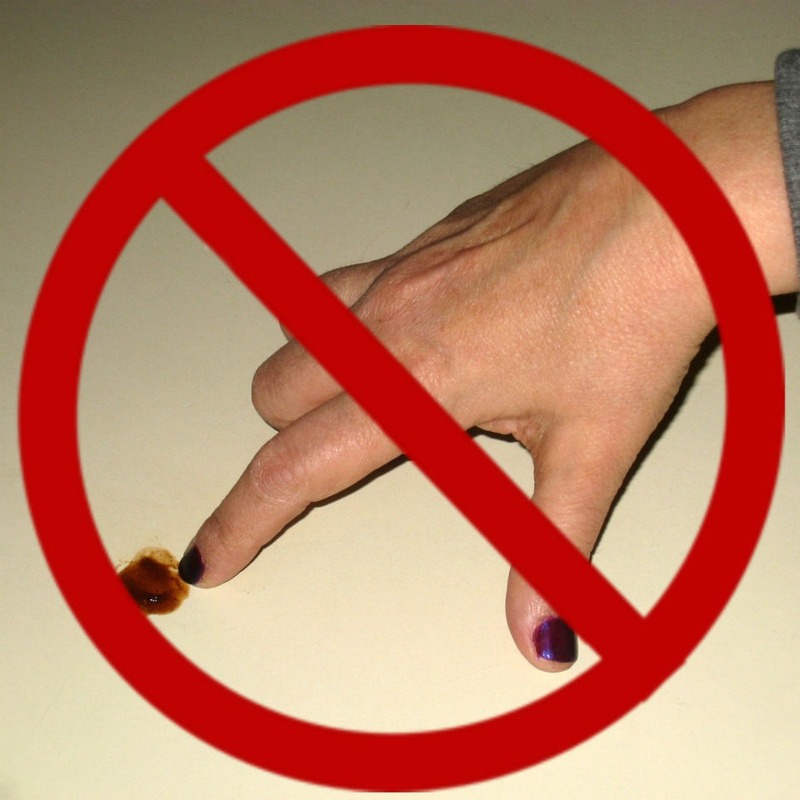 There are also some unwanted substances and locations, such as around the base of a toilet, where you just do not want to put your fingers (yuck again). 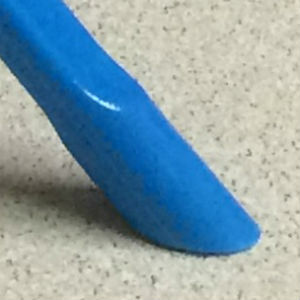 The unique rounded tip of the Scrigit Scraper is designed to replicate the appearance and functionality of a fingernail but is much sturdier. (The Scrigit name is a combination of scraper and digit, as in a finger.) The fingernail shape of the Scrigit Scraper is great at scraping off unwanted substances, removing adhesive labels and stickers, and getting into grooves and edges. 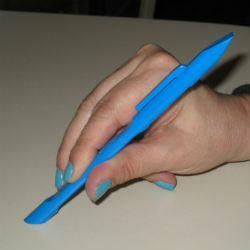 You can also use the tool in places where you don’t want to put your fingers or your fingers just can’t reach. The plastic material of the scraper is about the same hardness of a fingernail, so it won’t damage most surfaces, but much more durable overall. Using the Scrigit Scraper instead of your fingernails allows you to save time and effort when cleaning and protects your fingernails. If you do nick or dull the Scrigit Scraper while trying to remove harder substances, you can use an emery board or very fine sandpaper to restore the edges. In addition, the flat-edged top end of the Scrigit Scraper can be used to quickly clean up somewhat larger areas on flat surfaces or along edges and in grooves where fingernails are not as effective. 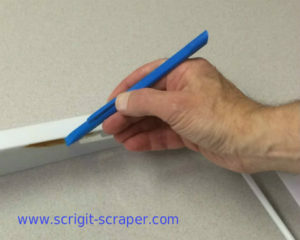 Many bloggers agree about using a Scrigit Scraper to keep from breaking fingernails. Here is what one blogger has to say. Let us know how you are using or thinking of using the Scrigit Scraper. Share photos. Preserve Your Vacation with a Scrapbook! 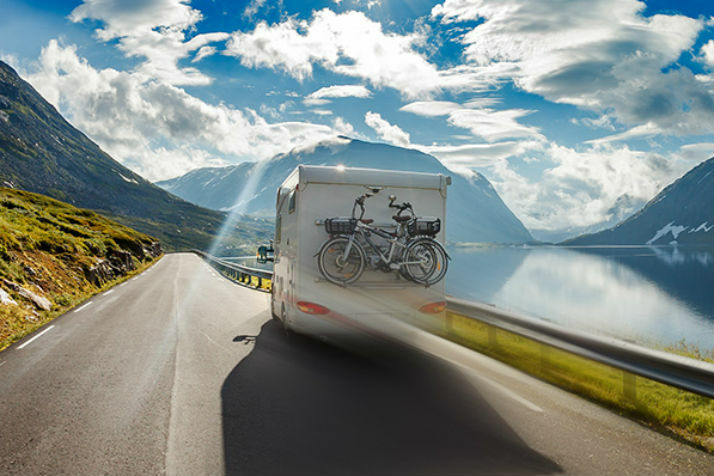 Summer is a season for travel— whether you love splashing at the beach, camping in the woods, visiting landmarks, or experiencing other cultures abroad— the warmer weather is favorable for vacations. And for most of us, the experiences are captured in pictures and videos. So why not commemorate your events and experiences in a scrapbook. They’re easy to make, and create a story around the pictures you hold dear. Scrapbooks do not have to be elaborate. Start with a visit to your local craft store, where you will find an abundance of books in all sizes, textures, and colors. Smaller books are great for single events or trips, but larger books allow you to place more photos. The typical sizes are 8” square and 12” square. Next, you‘ll need to choose some scrapbook paper. 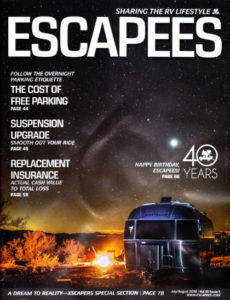 The papers really spruce up a page, and are designed in various colors, textures, and prints. The options are endless! You will also need some type of acid-free adhesive meant for use with photos, whether it’s a glue stick, adhesive dots, or tape. Be sure to select acid-free to protect your photos long-term. You may use a basic pair of scissors, but decorative scissors allows you to cut designs rather than straight lines, with little effort. You may find yourself perusing stickers as well. You might also want to add ticket stubs from places you visited and clippings from brochures. These and other embellishments can help make a page pop and look more whimsical. Once you have all of your supplies, you will need to print your pictures. Take time to select the ones you really want to showcase; this is also the perfect time to clean out all of the duplicates you may have in your phone or on your camera. Create your layout prior to using adhesive. You can cut out your stickers and embellishments with the backing still adhered. Play around with it, keeping in mind that you’re telling a story. Start with the first day of your vacation, or the few days leading up to it. As you layer your photos and paper and embellishments, remember to leave space to write the story. It doesn’t have to be long, but a few sentences will memorialize your feelings while the occasion is still fresh in your mind. When you have the page set up the way you want it to look, take a picture of it with your phone so that you can recreate it. Start with the background paper; whether you are using a full or partial sheet, you will need to glue it down. Apply the adhesive along the outermost edges of the paper, and then carefully place the paper where you’d like it. Once you have pressed it in place, use the flat edge of a Scrigit Scraper™ to more firmly adhere the paper to the page. Continue layering your page with your photos and embellishments. You can write your story when everything is dry, or else write it on a piece of paper or card stock and adhere it to the page as well. Be creative! Remember, this is your story, so it can be as simple or fancy as you’d like. Most of all, have fun creating your scrapbook! You can check out videos on scrapbooking, or look here to get started with digital scrapbooking. Time to Clean the Fridge with These Helpful Hints! 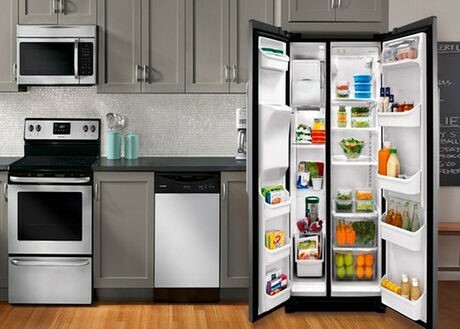 The refrigerator is easily the most used appliance in the kitchen, and the most neglected when it comes to cleaning. How often have you noticed crusted-on spills, drips, and glops, but merely closed the door, putting off the cleaning for another day? Or maybe you’ve placed other food items on top of the messes, so that you don’t have to be reminded of cleaning. Whatever the reason, the fact remains that your fridge should be cleaned at least biannually, if not quarterly. And it’s much easier than you’d think. Whether you have a side-by-side, a French-door model, a traditional freezer top/ fridge bottom, or the inverse (freezer bottom/ fridge top), the cleaning is performed the same way. The first thing you must do is take everything out. This is the perfect time to check dates on condiments and other items, and toss what’s expired. Take a look at any leftovers that may have been lurking too long as well. To clean, start at the bottom of the fridge. This is typically where the produce drawers are located. Pull the drawers out, and wipe down with a warm soapy cloth. Some people prefer to use multipurpose sprays, but they’re not food-safe; use a spray bottle containing equal parts of water and vinegar instead to ensure that you don’t toxify surfaces. Rinse thoroughly in the sink, and dry with a hand towel. Before returning them, wipe down both the shelf that sits atop the drawer and the bottom surface of the fridge interior with a soapy cloth. Instead of dish soap, you could also use a solution of 2 tablespoons of baking soda in one quart of hot tap water. This will clean and help eliminate odors. Be sure to wipe dry all the surfaces with a clean cloth, then replace the drawers. Repeat these steps with the rest of the shelves. You may decide to remove the shelves and give them a good scrub in the sink. Use a Scrigit Scraper™ to remove stubborn foods and to clean along the edges. Once the shelves are clean, wipe down the walls, back, and top of the fridge interior with the soap or baking soda solutions before putting the shelves back in place. Last but not least, remove the shelving containers on the door and clean thoroughly. Wipe down the entire door. 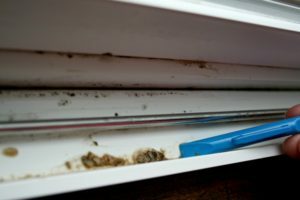 Make sure to also clean along the insulated rubber gaskets on the top and side of each door to remove any crumbs and grime. You can repeat these steps with the freezer as well, though most freezers tend to stay fairly clean. If you find that you need to give it a good wipe down, make sure to remove all food and turn up the thermostat to keep the cleaning solution from freezing on the surfaces. Remove any ice trays, or if you have an ice maker, turn it off and remove all sitting ice. Give your freezer at least 15 minutes to warm up. Do not use soap to clean! Use only the hot water and baking soda solution or the vinegar solution to wipe down the shelves, bins, walls, top, and bottom. Wipe dry with a clean cloth. Check the dates on all food and toss expired items. Turn the freezer back to 0° and allow it to get to temperature before restocking. For some additional tips on organizing your fridge, look here. Peak moving season starts in April and runs through September. 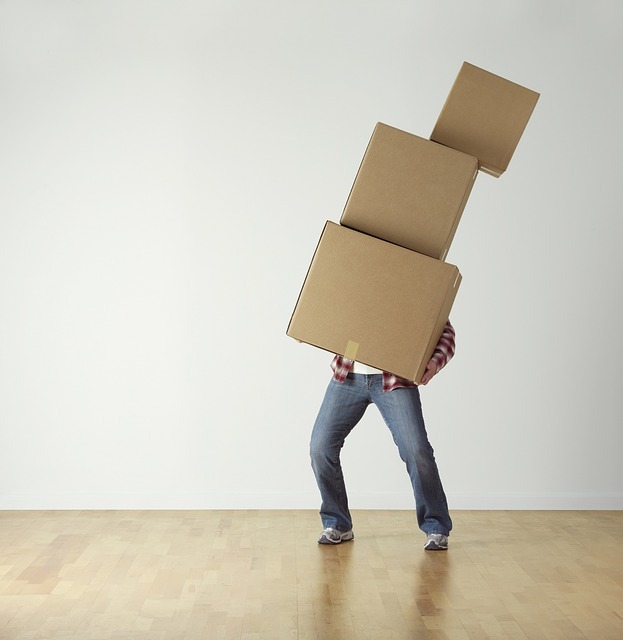 Out of around 40 million people who move each year, about 80% move during this time period. Weekends are the busiest moving days. 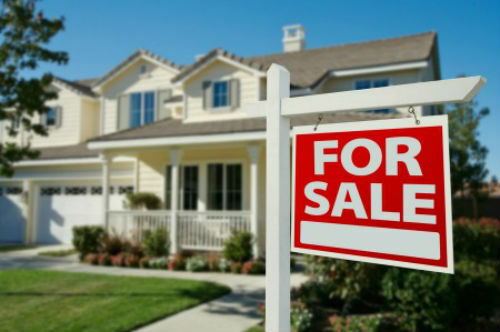 When you put your house up for sale, you want it to look its best. Before you move, you need to clean your place so it looks nice for the new people. If you are renting, you want to make sure you get your whole security deposit back. After moving into your new place, you will want to clean even more thoroughly. Moving is the ultimate motivation for decluttering your home. Give away, recycle, or discard all those things that have accumulated since the last time you moved (or regret having moved to your new place). Pack up all the items you plan to keep, and carefully label the boxes. No, you will not remember where you put everything. Once each room is empty, or at least consolidated into boxes stacked by the furniture you will be moving, you can start the cleaning process. According to cleaning and organizing expert, Donna Smallin Kuper, here are some important steps. Start high. Dust ceiling fans and corners, door and window moldings with a long-handled duster or broom. Clean lighting fixtures. The last thing you should clean in any room is the floor. Go low. Move furniture and large appliances so you can vacuum underneath and behind. Roll up large area rugs and vacuum underneath. Do it room by room. Plan to clean one room at a time until the job’s done. One of the challenges of cleaning is to remove spots of food or dirt from floors, walls and countertops without damaging the surfaces. Another challenge is to quickly clean corners, edges, grooves, and other tight spaces. Your fingernails are probably not strong enough to handle the task for a whole house cleaning. Screwdrivers and kitchen knives will scratch the surfaces being cleaned. Kitchen. The Scrigit Scraper is ideal for removing spots of dried food or other mysterious substances throughout the kitchen. The tool also is great for cleaning the edges around the sink, faucet, sink drain, cook top, and countertop. In the refrigerator, use the tool to clean along the edges of the glass shelves. The versatile scraper tool also gets dirt out of corners of drawers, floors, and countertops. Bathroom. 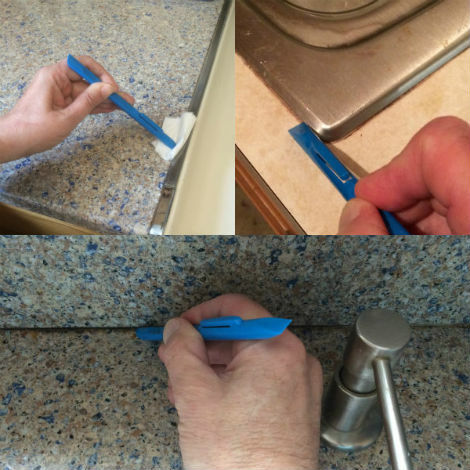 Here again, the Scrigit Scraper provides a non-scratch way to clean along the edges of sinks, drains, faucets, and toilets. If there is crusty lime scale around the faucets, soften this substance with vinegar or Lime-A-Way before scraping. The tool is also the right size to clean many types of shower door tracks and quickly removes soap buildup. Throughout the house. Use a Scrigit Scraper to clean off spots of unwanted substances. Soften the spots with cleaning spray or water when needed. Use the tool to clean sliding window and door tracks along with your favorite spray cleaner. Remember to use your Scrigit Scraper to remove the adhesive product labels and price stickers from all the new products you purchase for your new home. A new one with sharp edges will work better. You can also restore the tool’s edges with very fine sandpaper or the fine side of an emery board. Once you get done with all the moving and cleaning, reward yourself by trying out a new restaurant or other treats that you enjoy. The birds are chirping, blooms are sprouting, and there’s more daylight to savor… it must be Spring! The season calls to mind milder temperatures and a yearning to get outside and start planting. But why not bring the outdoors in? You can enjoy spring flowers year-round with your very own homemade placemats! If using vinyl or plastic placemats, thoroughly wash them in warm, soapy water and allow to air dry. Begin by cutting out the flowers. Be sure to keep the back contact paper intact. Take your time and carefully cut along the edges of your flowers, including any stems or leaves. By the time you are done, there should be no background to the cut-outs, unless you choose to keep it there for design purposes. Cut as many or as few as you’d like. Arrange your flowers on your placemats. You may lie all of them out at one time, or work on one placemat at a time. Keep in mind, the placemats do not need to match symmetrically; each placemat can serve as its own work of art! Once you have decided upon your design, carefully peel off the backing of the first flower and position it. 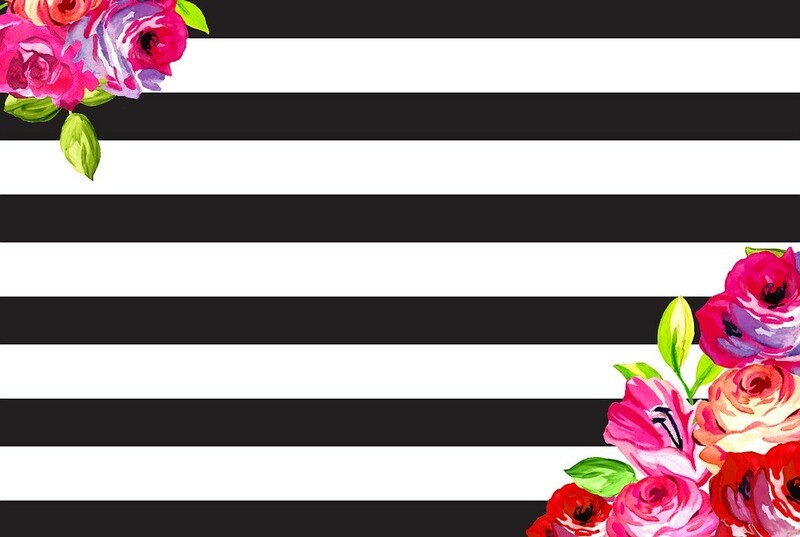 If you are creating a layered look, position the background flower(s) first. As you position the flower, use your Scrigit Scraper™ to rub the transfer onto your placemat. Rub in all directions to ensure a complete transfer. If using paper ones, take your time and be gentle so as not to tear the paper. You will need to use a little more pressure in rubbing a transfer onto a vinyl or plastic placemat. 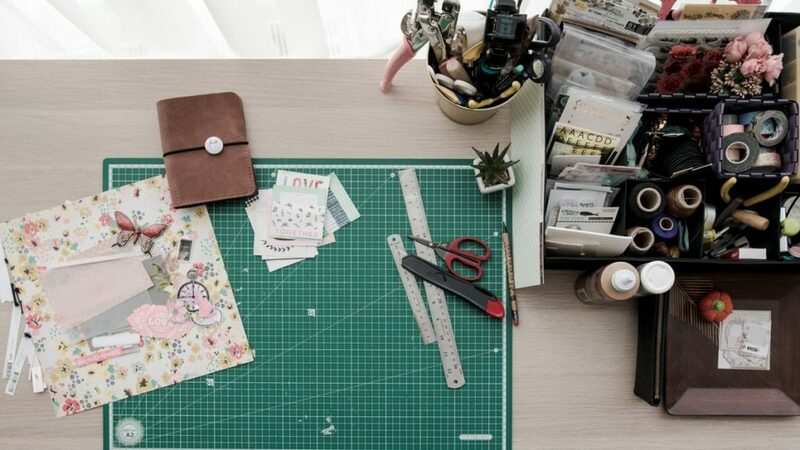 Once you have your design finished, set the placemat aside and begin the next one. If you make a mistake, you can always cover it with another transfer. For paper placemats, you can just start over with another blank slate. With vinyl or plastic placemats, you may want to remove the transfer and start over. While you can’t really protect your paper placemats, you can protect the plastic and vinyl ones by applying either a clear spray paint or clear acrylic spray. Make sure to read and follow the manufacturer’s instructions. And there you have it! This technique can be used to make seasonal placemats; you can purchase dry rub transfers in all sorts of designs. Have fun with it, and Happy Spring! The giggles. The snuggles. The milestones. The messes. Oh, the messes! 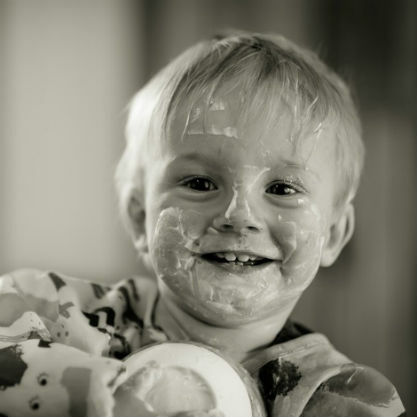 Children bring with them a hodgepodge of sticky, messy goodness. Whether it’s the toys they drooled on after breakfast, the spaghetti they ate for lunch, the stickers they played with after nap time, or the markers they used to draw all over themselves, toddlers are especially prone to creating monstrous messes all over the house and car. Here are some ways you can stay on top of it, while still being able to enjoy the wonderment of your children as they explore their environment. Cleaning toys. How many times have you collected Lego® bricks off the floor, only to see some goopy mess (Jelly? Milk? Pudding?) puddled on the inside? Before you decide to soak them overnight, use Scrigit Scraper™ to get out all of the debris. The flat side is perfect for scraping in tight corners. Once you’ve removed all of the goop, wash the toys in warm, soapy water. Don’t toss them into the dishwasher, as many plastic toys cannot withstand the high temperature. Removing stickers. They’re on the floor, on the furniture, on the books, on the kids. Children love stickers! However, they’re not very discerning about where the stickers are applied. 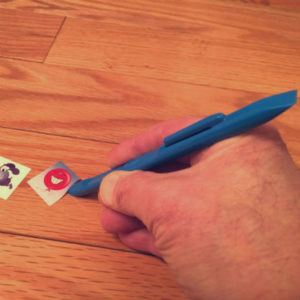 To safely remove stickers from your wood furniture and floors, appliances, laminates, and metal and glass surfaces, gently scrape them off with the rounded tip of your Scrigit Scraper™ instead of using your fingernails. The polycarbonate plastic is about the same hardness as fingernails, but more durable, and will not damage most household surfaces. Remove any remaining adhesive marks by applying olive oil (or any cooking oil) to the area, and rub with a soft cloth. Do not use oil on painted surfaces, as it will stain. Removing wax crayon marks. Toddlers love to draw on walls and tables, don’t they? Before you reach for your bottle of degreaser or multipurpose spray and create a bigger mess, try this trick. First, scrape off all loose crayon with Scrigit Scraper™. Next, use a hair dryer to warm the remaining traces of wax. Wipe clean with a soft cloth soaked in hot soapy water. Repeat with the hair dryer and cloth until the crayon is gone. Maintaining gear. High chairs, car seats, and strollers are infamous for having little crevices where crumbs and other food messes tend to congregate. With our 5-pack of Scrigits, you can keep one in the kitchen, one in the bathroom, one in the car, one in the diaper bag, and one in another handy location! Use it for big cleans once per month to completely freshen gear (remove all of the cushions, scrape all dried debris, and wipe everything down with a sanitizer), and use it daily to scrape up the small spills that inevitably occur when you’re on the go. The more you use your Scrigit, the more uses you will find for it. For ideas on how to get your toddlers and older kids to clean up after themselves, look here. Contributed by guest blogger and mom, Cyndi G.